All I can say about the quality of the games made available in the Wii Shop Channel is: WOW! 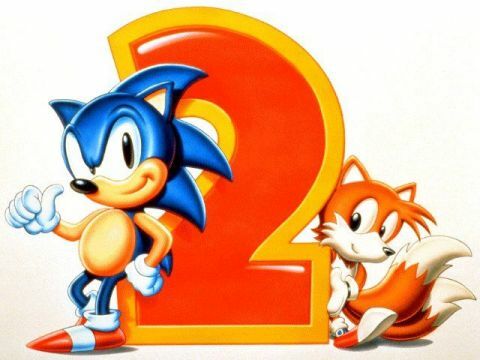 Honestly, with super games like Sonic 2, Bruiser and Scratch and Hockey Allstar Shootout we’re going to have a great week and reasons to believe that Nintendo is planning to go BIG this holiday season. Hopefully, to add the cherry on top, big N will also go “free”. Heh. So, the first super title that’s available for download right now is Sonic The Hedgehog 2 on Virtual Console, for 500 Wii Points. The classic title initially developed for the Sega Master System returns and challenges you with another rescue mission against Dr. Eggman. Pure fun, lots of classic platformer action – that’s what you’ll get with this remake of a classic game. The WiiWare channel also receives some challenging titles, like the mind-boggling puzzler Bruiser and Scratch which can be purchased for 1,000 Wii Points. The story unfolds over 48 puzzles and six landscapes. And for players who can’t get enough, Challenge mode offers 75 additional puzzles – so you will have no reasons to complain. Lastly, Hockey Allstar Shootout challenges you to prove you have what it takes to become an all star super hockey goal scorer: the game offers three skill challenges, like head 2 head shootouts, sharp shooter and power shoot. For just 500 Wii Points and having multiplayer support, this game could prove to be a very fun winter addition! Previous articleGet Your Free Far Cry 2 Missions Now!